FMC pal Charles McEnerney of Well-Rounded Radio (a very cool podcast site that conducts interviews and connects listeners to what’s happening outside of mainstream music) recently spoke with Jeff Price, founder/CEO of TuneCore — a service that allows musicians to distribute their music to all the online retailers and on-demand streaming sites such as iTunes, Amazon MP3, eMusic, Rhapsody, Lala and Napster. Both McEnerney and Price were at our "What’s the Future for Musicians?" event last year in New York, so we thought it would be a good idea to share with you some of the highlights from the latest Well-Rounded podcast. The interview focuses on how artists can use a service like TuneCore to get their music to fans. The way we discover and access music these days is different from even five years ago, and, while CD sales are in decline, digital sales are climbing. Today’s musicians no longer need the backing of a label to digitally distribute their music, thanks in part to new services that do it for a fairly nominal charge. With TuneCore, you pay around $35 (not bad considering you keep all of your rights and revenues), then uploads your audio files. After a short processing time, voila! your work is on sale to the 1.5 billion people online. Other perks include TuneCore’s relationship with Guitar Center, which gives artists the chance to have their music played throughout the retailer’s 220 stores (that is, if it can be heard over the fumble-fingered renditions of “Stairway to Heaven”). TuneCore also emails revenue updates and even has its own chart in Billboard. 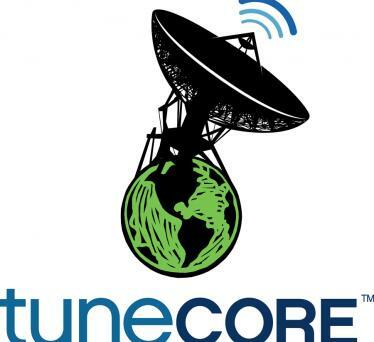 But the real question is, is TuneCore worth it for musicians? According to Price, the answer is yes. As he says in the podcast interview, TuneCore releases more music in a day than traditional labels put out in a year. Waiting around for an A&R executive to discover you may no longer be necessary—if you can cultivate an audience, you can sell to them directly. Then there’s the limitless “shelf space” offered by digital, meaning you don’t have to press thousands of CDs and ship them out (of course, you can still do this if you want to—TuneCore also offers small and large-batch CD duplication). We at FMC are impressed by the growing number of digital music services available to artists. (It’s important to remember that all of this is made possible by net neutrality, which lets start-ups and indie artists exist on an equal technological playing field with the big companies). Which means that TuneCore, while very cool, is hardly the only DIY game in town. CDBaby—an online record store that has sold more than five million CDs from independent artists—also services to digital stores like iTunes, Amazon and eMusic. Then there’s ReverbNation, which started out as a marketing service/streaming player but has recently gotten into the digital distro game. For artists on independent labels, there’s companies like Iota and The Orchard. If you want to hear more from TuneCore’s Jeff Price, you should check out the audio/video archives from our “What’s the Future for Musicians?" event, which took place in New York City on October 6, 2008. Well-Rounded Radio’s Charlie McEnerney was also on hand for a breakout session on podcasting. You’ll find them both right here. Feel free to let us know in the comments what sites and services you use to get your music out there!